Issue 1850 of this, our beloved Weekly Letter, is upon us, which means by the time you’re reading this there’s only two more weeks left in the year.Here’s to a great finish to the season.To kick things off this week we’ve got a bonus; a charity event you might want to attend if you’re able.BONUSA charity networking event in Los Angeles, taking place December 19th. 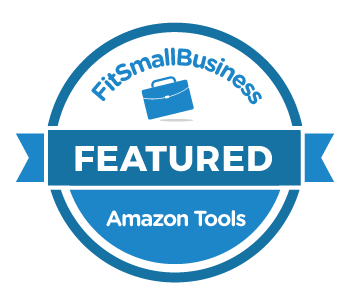 For those of you able to attend, this is an event for Amazon sellers hosted by Seller Events, a group dedicated to supporting Amazon sellers with the best events, software and services to help you grow. Tickets are first come, first served and space is limited. The LA event will feature a raffle and a drive to donate to families in need alongside the LA Fire Dept. This is an exclusive engagement.To learn more visit the Seller Events page:Seller Events' LA Holiday PartyIt’s for a great cause, if you can make it.Now let’s take a look at what we’ve got in store for Issue 1850.This week we’ve got some great tips for you in Tips & Tricks on the multitude of Dashlets available when customizing your Dashboard.In Sellers’ Paradise we take a look at 10 retail predictions for 2019, from the retail mystics at Forbes. China has been making huge inroads into selling on Amazon, and it’s no secret how many new sellers have joined the Zon in the last year. We look at the impact of that influx and how Amazon is encouraging new sellers to brand in The World Of Amazon.And finally, in What’s New we have a press release on the Data Table under Graphs, which lets you convert selected graphical info into a data table that can be exported.Only a few more weeks left in 2018. We hope you’re already well into a great holiday season, and are looking forward to another year of prosperity. “Laughter is wine for the soul -- laughter soft, or loud and deep, tinged through with seriousness -- the hilarious declaration made by man that life is worth living.”- Sean O’Casey All the best,Your ManageByStats Team Read Our Newsletters Online! And don't forget to share ManageByStats with your friends. Our affiliate program pays you an ongoing 25% referral commission.See the Affiliate menu under Settings in your ManageByStats.